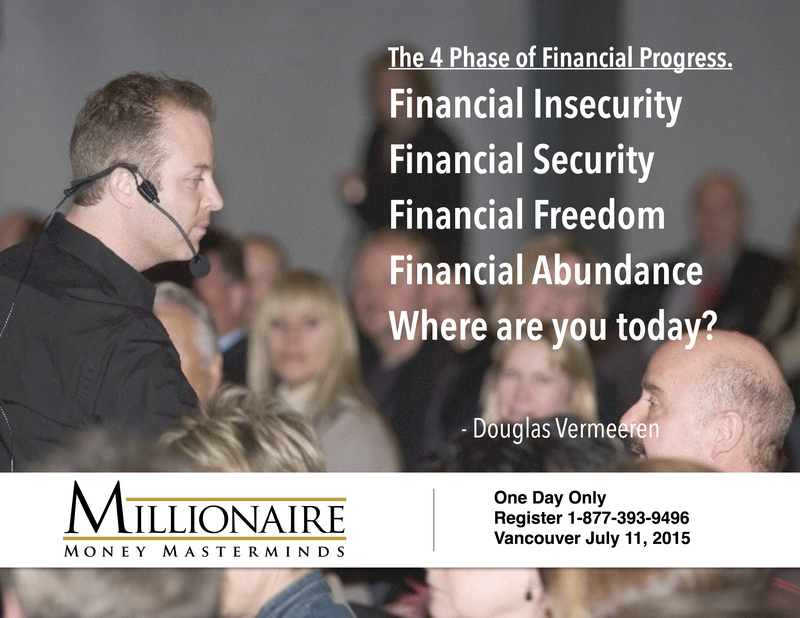 Douglas Vermeeren – Focus on What you can DO and the results will surprise you. When we focus on what we can do we are proactive. When we focus on things we can’t do or the things we can’t change we are reactive. A reactive state or individual gives the power of choice away. It places the ability to make a situation better outside themselves. By giving this power away the individual becomes dependant on outside influences to determine their destiny. When we focus on the things we can change none of our energy is wasted. We begin to take back our power and even the situations which we thought we had no control over will begin to change. As we start working with what we have its almost as though a magical universal power steps in to bring us what we need to get our desire met – even if those things our outside of our influence. Recently I had an experience that illustrated this. I had a challenge to solve in my business. Much of the challenge was beyond anything I could control. I decided I would do everything in power with everything that I could within my power. A very short time later I received a phone call from someone I hadn’t talked to in months. They had an opportunity to present to me that brought solutions to several of the elements of this challenge beyond my control. It was incredible. I had not reached out to this individual or made them aware of my challenge. The Universe knew and put this person in my path with help. Start with what you can do and the momentum and commitment of that will bring you the other pieces you need. In addition often when we begin to confront what the elements we have control over we begin to recognize elements that we may have initially thought were out of our control that actually are in our ability to do something with. Its almost as if we can’t shine a light on these elements until we have started to work with the elements that evident and immediately before us. In the Movie The Opus, I said “There are no such thin as problems. Everything is a puzzle and there are solutions to puzzles.” If we begin to look at problems and challenges as puzzles they become much more easy to solve. Most people are currently at the level of Financial Insecurity, which means that they have must work every single day to make the money they need and even then things are relatively tight. How would you like to learn what a handful of billionaires and many multi-millioniares taught me personally about creating financial abundance? (Which by the way is different than Financial Freedom.) Do you think those lessons would make a difference for you? THEY DID FOR ME. If you are interested I will be in Vancouver for one day only in July teaching it. call 1-877-393-9496 to find out how you can be there. We have 19/25 spots left.